On Tuesday, 308 tonnes of aquaculture waste will be shipped to Vietnam as fertilizer as part of joint-industry project between salmon-farmer Marine Harvest, feed producer Skretting, IVAR, Scanship and Hoest. “Fertiliser made of aquaculture sludge will now be industrialised,” a statement said, referring to the pilot delivery resulting from a year-and-half of collaboration. The sludge is derived from aquaculture and human waste in the Stavanger region of southwest Norway. “We have documented the value of the fertilizer, nutritional value and qualities. We have a good basis and concluded that this is a resource. 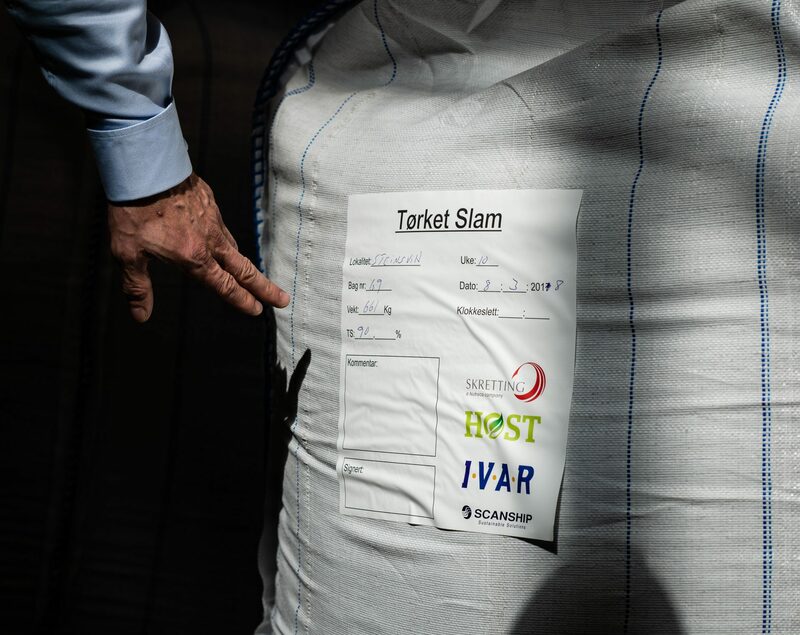 We have used the raw material, which is what we call it, as part of a composite fertilizer that we have produced at IVAR (municipal water, run-off and recycling company). “The fertilizer ingredients are based on surplus biomass from Marine Harvest’s smolt facility at Steinsvik,” said Erik Norgaard, a microbiologist employed by Hoest. “The results look promising. In this first attempt, fish fertilizer performed better than regular chicken fertilizer,” he added. Turning aquaculture sludge into fertiliser isn’t a new idea. How to make it profitable has been the problem. Skretting head of communications, Leif Kjetil Skjaeveland, outlined three maid challenges: How to collect it? Will plants grow on it? Will people pay for the fertilizer? They’ve now solved all that. Skretting took the sludge on “return voyage” of what of its feed vessels. The feed works, and they’ve built up a client base in Vietnam. 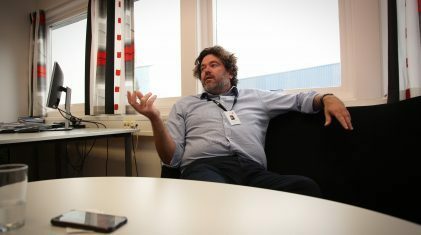 Now they have plans to produce 400 t to 600 t a month for shipment to Vietnam, where organic fertilizer has typically sold for EUR 187 kroner per tonne. “This is a pilot project, and we’ll see if it functions. It does. Later, it’ll become an industry,” Skjaeveland said. Organic fertiliser, it turns out, is extremely sought after in the Southeast Asian climate. “Organic material is quickly burned up in the soil, so (in Asia) they’re occupied by getting hold of this type of fertiliser. In addition, it just happens that in Norway, it rains so much that much of the phosphorous runs out into the watercourse, while in Vietnam it travels upwards. Water moistens, so then the salts remain on the surface the soil and make it ill-suited,” Norgaard said. “We’re making fertiliser based on agricultural demand. You can tailor a fertilisation plan based on economic need. Then, you will not use a type of fertiliser where there isn’t a need. We take a surgical approach to it,” said Skretting agronomist, Frode Jaasund. A Vietnamese cargo ship with spare capacity on its home voyage will ship the sludge, it’s carbon footprint not much different than a journey by lorry. “It’ll be more reasonable than shipping it to the wheat fields of (Western Norway),” said Skjaeveland.